Flowers For All Occasions, Wedding and Funeral Specialist, Fresh, Silk, Dried Flowers, Cards, Chocolates, Balloons, Vases, Jewellery, Gifts, Same Day Deliveries. Bridal and Wedding Floristry, Funeral Tributes, Boquets, Baskets, Arrangement, Local Delivery, E-florist Relay Service, Balloons, Teddies Etc. Telephone Orders Welcome, Major Credit Cards Taken, Weddings and Funeral Florists, Established Family Business. Same Day Delivery, Beautiful, Fresh Flowers, All Major Credit Cards, Exotic and Unusual Blooms, Local, National, International, Friendly, Personal Service. Flowers For All Occasions, Balloons, Chocolate, Same Day Delivery, Weddings, Funerals, Corporate, View Testimonials Online, Order Online Or By Phone. Weddings, Funerals, Birthdays, Births,Mothers Day,Valentines, Hand Tied Aqua Arrangements, Bouquets Anniversary Soft Toy, Fruit Baskets and Christmas, Bristol and Civil Ceremonies. Local and National Deliveries, Weddings, Funerals, Birthdays, Hospitals, Offices, Corporate, Same and Next Day Delivery, Baby Clothes Bouquets, Chocolates, Balloons and Plants. Same Day Delivery, Hand Ties Bouquets, Gift Balloons, Chocolates, Sympathetic Floral Tributes, Corporate Displays. Local, National, International, Wedding and Funeral Specialists, Flowers For All Occasions, Corporate Flowers and Plants, Same Day Delivery, Bouquets, Arrangements, Gifts. Bristol Florists, Weddings, Corporate Accounts Welcome, Local National International, Exquisite Bouquets and Hand Ties, Weddings Funerals Birthdays. Hand Tied Bouquets, Weddings, Funerals, Corporate, Same Day Delivery, Balloons, Chocolate, Specialist Advice, Modern and Contemporary Flowers. Fresh Flowers Daily, Teleflorist, Credit Cards, Celebrations, Corporate, Master Florist Member, Creative Wedding Designs, Same Day Delivery Flowers. Flowers For All Occasions, Huge Range Of Gifts, Same Day Delivery, Local And Worldwide Delivery, Top Quality Service And Value, Wedding and Funeral Specialists. Flowers For All Occasions, Wedding Specialists, National, International Orders, Free Consultation, Balloons Gifts and Cards, Corporate Contracts Accepted. Unique 3 Hour Delivery, Hand - Crafted Designs, Quality Guaranteed, Same Day Delivery, National Delivery, International Delivery. Same Day Delivery, Local Areas, Bespoke Designs Speciality, Business Enquiries, Corporate Enquiries. Flowers For All Occasions, Local Same Day Delivery, Modern and Contemporary Flowers, Exotic and Unusual Flowers, Specialised Funeral Creations, Wedding Flower Specialists. Fabulous Flowers Delivered, Premium Hampers and Luxury Gifts, Local National International, Quality Service and Value. 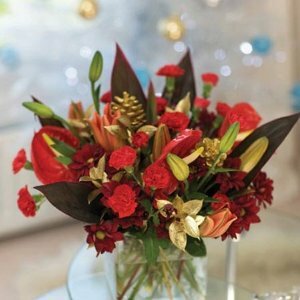 Florists in Avon - Avon Florist, Flowers Delivered, Bouquets, Funeral tributes, Wedding Flowers, Flower posy, Arrangements, Fresh Cut Flowers, Birthday Bouquets, Wedding Posies, Flowers Delivered in Avon.